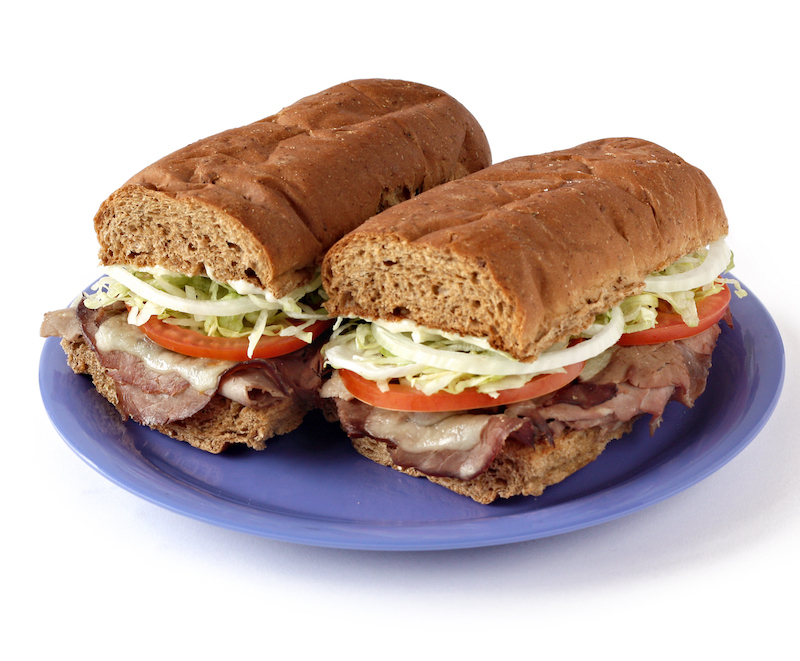 Made with only the highest quality Roast Beef — Top round and oven roasted. On your choice of White, Grain or Ciabatta bread. Topped with garlic butter and mozzarella cheese, then broiled. Dressed with tomatoes, lettuce, mayo, onions, and our own secret dressing.